Do Muslim Women Get a Fair Deal? This is an incisive article sent by Ms Taji M which raises several intelligent and debatable points. Right now we are witnessing a debate on need for reform in religion. This article provides a woman’s perspective and argues that due to orthodox and literal interpretation of religion women in our society are not getting a fair deal. We expect healthy debate on this article. I have a friend, university educated, upper class, stylish and religious but not an extremist way. She is a on the whole a very sensible person. Over the years we have debated religion extensively; I have more reformist thoughts and she is more mainstream. She is of the firm belief that present orthodox version of Islam offers the best position for Muslim women; in one of our debates she said something like this “Look at me, I am much better off than the western women slaving away in offices and then scouting for boyfriends and eventual husbands. Before marriage my father took care of me, he treated me and my brothers equally. During his lifetime he divided the property between me and brothers and I ended up getting a larger share as I got a lot of gold in my jahez also. I got married without going through the humiliating boyfriend search, and now have a loving husband and two cute kids. I am a stay-at-home mom out of choice not due to my husband’s insistence. And the nice house we live in is in my name. I am protected under the safety of Islam which offers the best to all good women”. Can You Declare Anyone Non Muslim Through Legislation? Right now, after 28th May, an issue being increasingly discussed is the status given to Ahmedis through the controversial Second Amendment. Frankly I would like to say at the onset that I think the Second Amendment is one of the blackest and most shameful acts of legislations ever passed in the National Assembly. Its reprehensible content is reinforced by the fact that it was not an ordinance imposed by a dictator but actually passed by majority through legislative process. The Second Amendment was passed unanimously and compared to other controversial legal ordinance such as Hadood, appears to have a “democratic’ semblance. In fact at times more than the religious arguments the supporters of the Second Amendment come up with the “democratic” defense. Supporters say that after all democracy is a game of numbers and if the law was passed unanimously then it reflected the entire collective will of the people. They also say that democracy has to be consistently interpreted and applied. They say that you cannot be “selective” about democratic norms and apply it to your own wishes. The votes cast by the representatives are the most appropriate approximation of the public will and if a bill is passed unanimously then public will has to prevail. The art of legislation is the way of ensuring prevalence of public will. Why are Ahmadis persecuted so ferociously in Pakistan? The reason can’t be that their large numbers pose some sort of ‘threat from within’. After all, Ahmadis are a relatively small minority in Pakistan. They make up somewhere between 0.25 per cent (according to the last census) and 2.5 per cent (according to the Economist) of our population. Nor can the reason be that Ahmadis are non-Muslims. 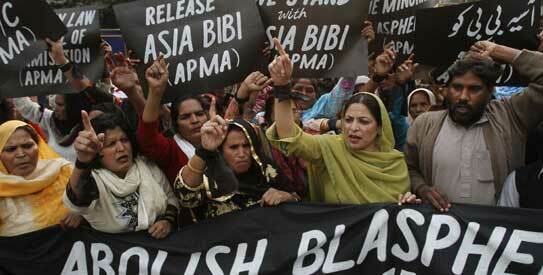 Pakistani Christians and Pakistani Hindus are non-Muslims, and similar in numbers to Pakistani Ahmadis. Yet Christians and Hindus, while undeniably discriminated against, face nothing like the vitriol directed towards Ahmadis in our country. I often find myself defending Pakistan against the unbidden prejudices of the outside world. No, Islam is not the cause of terrorism. Yes, the Taliban is a complex phenomenon. No, Imran Khan is not a major political figure. This past week, though, I am silent. The massacre of 94 members of the minority Ahmadi community on May 28 has exposed something ugly at the heart of Pakistan – its laws, its rulers, its society. It’s not the violence that disturbs most, gut-churning as it was. 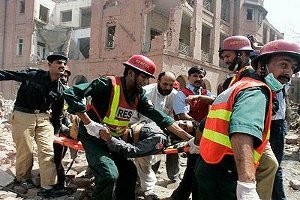 During Friday prayers two teams of attackers stormed Ahmadi mosques in the eastern city of Lahore. They fired Kalashnikovs from minarets, chucked grenades into the crowds, exploded their suicide vests. As the massacre unfolded, a friend called – his father-in-law, a devout Ahmadi, was inside one of the besieged mosques. The family, glued to live television coverage, were sick with worry. Two hours later, my friend’s relative emerged alive. But many of his friends – old men, including a retired general and former judge – were dead.